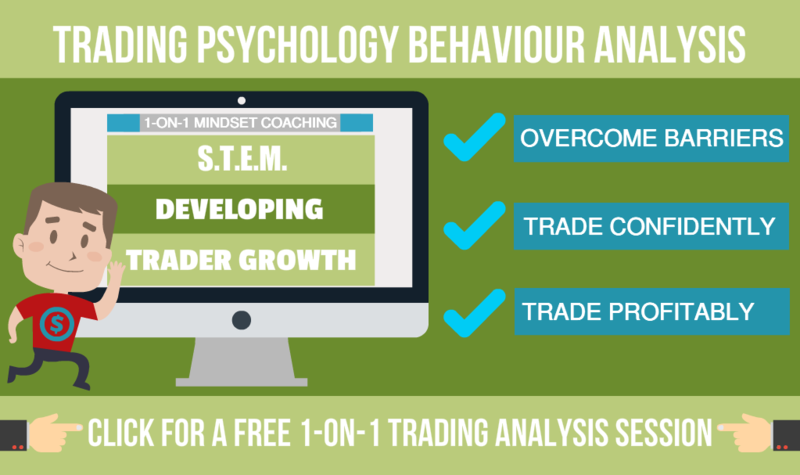 Trading psychology is a fascinating field as you are never quite sure just what you might encounter. For example, I received an intriguing email from a day trader that touched on something I have worked with before and I thought it would be useful and interesting to share it with you because there are likely to be other traders experiencing a similar thing. I’ll keep the sender anonymous but here is the gist of the email I received from him. This trader does short-term trading based mainly on price action which involves him watching the screen for the set up and entry. Not an unusual scenario for traders, right? But for this trader, this screen watching is causing him to have a tendency, as he describes it, to ‘glaze over’ resulting in him losing his concentration and mental focus. According to him one ‘Profit Killer’ consequence of this glazing over is that he misses his setup’s best point of entry. He then either enters the trade late, or misses the trade altogether if the price has moved significantly from the required entry level. Of course, this interested me because it is another real trading example of something I have suspected for quite a while and which could be a widespread problem amongst traders; especially those who regularly find themselves waiting for the market to declare itself. Although in this specific case my thoughts are based on limited information, I believe what I am about to share with you has significance for many traders because I have seen it before with some of my private coaching clients. In fact, I wouldn’t be surprised to learn that there are many more traders who will be able to identify with this problem so let me share with you what I believe is going on here and hopefully it may shine a spotlight on something in your own trading. Let’s take a look at this trader’s description of his ‘symptom’; which is that at times he ‘glazes over’ while watching the screen for a setup. This ‘glazing over’ state is not surprising because the colours, movement, and also sounds you are experiencing as you look at the screen can be quite engaging, especially when you have your mind fully focused on it. The fact is, because you are using predominantly your visual and audio senses, which for many people are quite dominant senses, after only a few minutes this is a scenario that is speaking almost directly to your unconscious mind through those two senses. 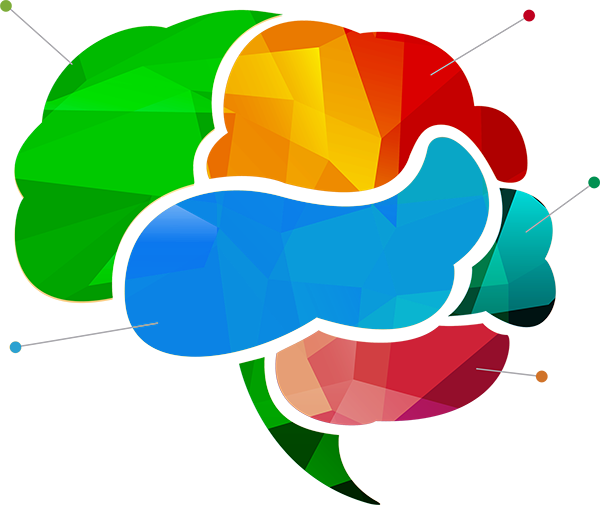 The left-brain right-brain school would say that the left-brain, the logical part has switched off, leaving the right-brain to be predominantly engaged in the activity. These are the perfect conditions for the creation of what is known in Neuro-Linguistic Programming and hypnotherapy as a ‘light trance state’. You can think of your trading screen, with it’s multi-coloured moving bars and the sound effects you hear signalling something has happened, as being the modern equivalent of the cliched ‘swinging watch’ or ‘spinning medallion’ used by hypnotists or psychiatrists in those cheesy movies. Now the irony is that the problem is not that you are losing concentration. No, the problem is in fact that you are concentrating a great deal ‘on the same thing’, and it is this concentration combined with the sensory stimulation that causes you to enter the light trance state. Interestingly, we all do this many times throughout the day although most people don’t realise it is actually a trance state. Entering a trance state is quite normal especially when we fix our full attention on something that contains lots of visual sensory repetition and this is in fact a basic technique used in Mindfulness meditation. The commonest practical example I can give you is motorway driving. How many times have you been driving on a motorway only to find yourself snapping out of some deep thinking and then realising you can’t remember the last few miles, or where you are, or how much time has passed? This is because you went into a light trance state, which by the way is almost perfect for safe motorway driving so don’t panic. You went ‘inside yourself’ and this is what can happen as you watch the screen when waiting for a trade setup to appear. In coaching, when a person is aware of and focused on their external environment they are said to be in ‘Up Time’. But when we ‘go inside’ (for example to process something we have heard like a question or just to ‘daydream’), we enter what is called ‘down time’. In down time we are effectively ‘checked out’ from the present moment and what is going on around us and our mental focus is ‘inside’. A typical example of this is when you see people walking along the street listening to music with headphones on or having a conversation with someone on their phone. At these times they are checked out. (BTW when someone is checked out, they make an easy target for muggers who purposely look out for people who are in ‘down time’ as they are easier prey. This is what was happening to the trader who originally asked me to help him. He had become the grazing antelope and didn’t notice, until it was too late, that something in his environment had changed until it was too late. In the case of trading, that ‘environment’ is the market conditions. Bear in mind then that for those times when you miss your setup entry, or enter too late, it might just be due to the fact that you have unknowingly entered ‘down-time’ and are currently in a light trance state. You may be ‘mentally checked out’ from your trading environment because your mind may have gone walk-about. Also, because it requires a short time delay to come back out to ‘up time’, and once again regain your full conscious awareness, don’t be at all surprised if the market didn’t hang around for you but went off on it’s merry way leaving you and your setup far behind the profits. So now we know the problem, we know the symptoms, and we know the consequences, what can you do to avoid falling victim to this natural trance state? To avoid falling into this trading trance state simply make sure you do not stay focused on the monitor screen for more time than is necessary to check the current market situation. In fact, no more than 30secs at any one time should prevent the ‘down time’ taking hold of your mind. Don’t get caught in the sensory trap of movement, sound, and gaudy dancing colours that is emanating from your monitor like a lively Spanish fiesta and causing you to become fixated. Avoid mindlessly staring at the screen and make a conscious effort to look away often, and/or occupy your mind with something else. So you can actually take your attention completely away from the screen for a while, you may want to use some form of alert to tell you the market is moving toward what your setup needs. Knowing you have the alert as an early warning and that you have plenty of time to come back and check the market situation will help to calm your mind and prevent the anxiety that you may miss something – which may be precisely what is happening anyway due to being in a trance. I hope this has thrown some light on why you might be missing setups and that you will apply the easy steps I have suggested to avoid the problem so you don’t become the victim of your own mind yet again. I’d love to hear how this has helped you so please leave me a comment at the bottom of this page to let me know how your own down-time periods may have negatively affected your own trading. P.S. Oh, and please don’t forget to share it to help others too!